All the suicides were reported till late night, hours after the exam results announced by the Madhya Pradesh Board of Secondary Education (MPBSE). According to police, these suicides were reported from different places in the state. Bhopal: At least twelve students, including six girls, committed suicide in parts of Madhya Pradesh as they were depressed over their results of class X and XII exams conducted by the state board, police said on Saturday. A brother-sister duo from Satna district were among those who took the extreme step. While the boy studied in class X, his sister was a student of class XII, police said. According to police, these suicides were reported from different places in the state, including Satna, Chhatarpur, Guna, Indore, Balaghat, Gwalior, Tikamgarh, Bhind, Jabalpur and Bhopal districts. "Three students, including the brother-sister duo, committed suicide in Satna district after they failed in the board exams," police spokesperson and forensic officer Dr JS Yadav said. "Rashmi Pandey (18), and her brother Dipendra Pandey (15) ended their lives by hanging themselves in their rooms in Khamriya Paysiyan village under Kolgwan police station area. Both of them had failed in the exam," he said. "Similarly, Reena Singh of class XII ended her life after getting supplementary (not passing) in one subject in Purva village under Singhpur police station area in Satna district," he said. 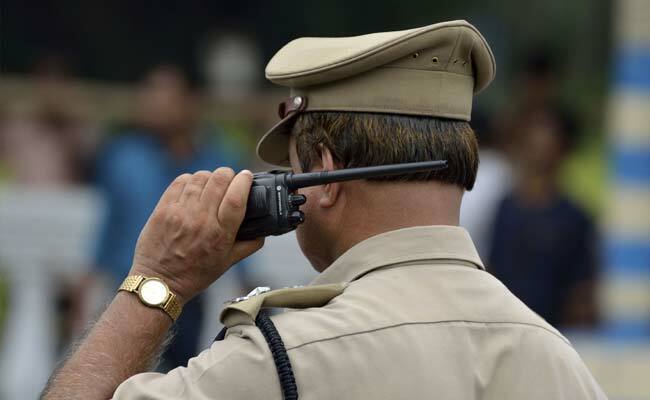 Naman Kadve, a class X student of Excellence School in Bhopal, allegedly commited suicide by injecting himself with a toxic substance at his home as he could not score 90 per cent in the exam, in-charge of Bhopal's Habibganj police station, Ravindra Yadav, said. "Naman got 74.4 per cent marks and hence he was disappointed," the officer added. Additional Superintendent of Police BKS Parihar said, Vikas Rawat, a student of class XII, allegedly committed suicide by hanging himself in him room at Halipura village of Chhatarpur district after getting supplementary in the exam. A report from Indore said that class X student, Sumit Bagora, committed suicide by hanging himself after he failed in the board exam. The incident took place under Sadar Bazaar police station limits, police said. Similarly, class XII student Laxmibai Dheemar ended her life by drinking some poisonous substance in Madhusudangarh in Guna district last evening after she came to know that she did not succeed in the exam. A report received from Balaghat said that class XII student Devendra committed suicide by consuming pesticide in Behrai village under Lalbarra Police Station area in Balaghat district after failing in two subjects. In Gwalior, Pragya Kushwah (21), student of standard XII, allegedly hanged herself after the results were out. Pinki Prajapati (16), Class X student, hanged herself in Narguda area of Tikamgarh town, said police officer Rajesh Banjare, adding she had failed in the exam. In Jabalpur, Kanchan Dubey (17), class XII student, jumped in front of a train at Gulaua railway crossing, police officer Y S Mishra said. In Bhind town, Tapish Miholiya (17), class XII student, hanged himself in his house in Chaturvedi Nagar, Additional Superintendent of Police Rajendra Verma said. Tapish, son of Bhind municipality chief Kalawati Miholiya, had failed in class XII exam, police said. Another girl, a class X student, tried to commit suicide by consuming poison. She is being treated at a hospital, Gwalior police said.